Last week the USDA released the updated Dietary Guidelines for Americans for 2010. In addition to limiting trans fats and eating more whole grains, fruits and vegetables, the new guidelines recommend people over 51 and those who have Diabetes or hypertension consume no more than 1,500 mg of sodium a day (that’s about a half a teaspoon). 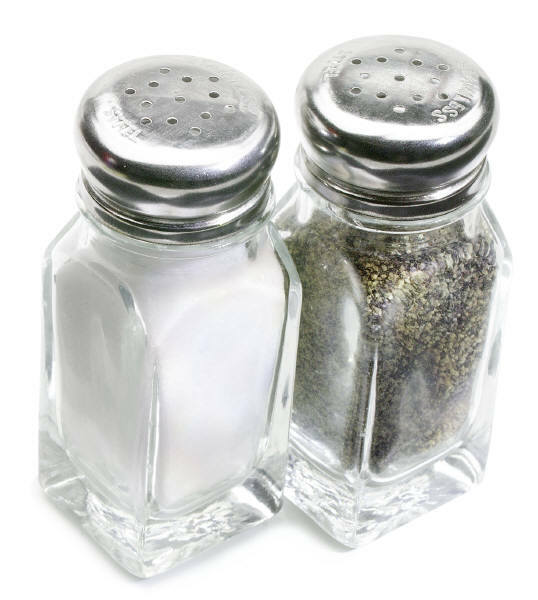 Sodium—or salt— is a necessary nutrient for living; it balances water and electrolytes in cells, and helps nerves send messages to our muscles. Most Americans consume much, much more than the recommended daily amount, and although we need some sodium in our diets to keep our bodies functioning, too much sodium can actually be harmful. High blood pressure (hypertension) is a medical condition where blood passes through blood vessels with too much force, forcing the heart to work harder to pump blood through the body. Uncontrolled blood pressure can damage blood vessels which in turn can lead to serious heart complications such as heart attack and stroke. So where does sodium fit in to this? Sodium attracts water; eating too much sodium can cause the body to hold on to water. The extra fluid in the body puts pressure on blood vessels which in turn raises blood pressure. Some foods are natural sources of sodium, for instance dairy, meat and bread (salt works with yeast to make bread rise) and of course salt is added to many foods during the cooking process and at the table right before eating. The greatest source of sodium in our diets, however, comes from packaged and processed foods where salt is used to preserve shelf-life and add flavor. To get an idea of the sodium in food, check out this page which lists sodium content in many popular grocery store and restaurant items. When in doubt, check the Nutrition Facts on the back of the package; it’ll say how much sodium is in each serving. Even foods whose packaging saying it’s “healthy” (like some brands of frozen dinners and canned soups) contain large amounts of sodium. Whenever possible, opt for fresh foods over deli meat and packaged meals. Try using dried spices and herbs for a low-sodium way to add flavor to a meal. What do you think about the new recommendations? Do you think cutting back on the sodium in your diet will be difficult?